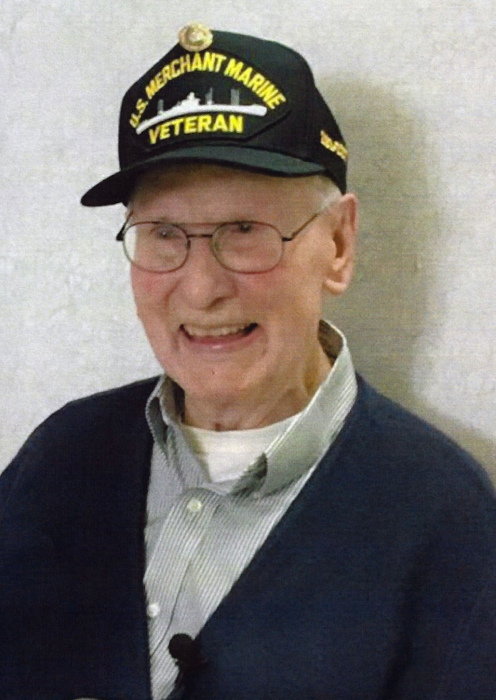 William G. Ledbetter, age 104, of Harrisburg passed away at the Marion VA Hospital at 12:45a.m. on Monday, July 2nd 2018. William was born on November 13, 1913 in Hardin County to the late John M. and Pearlie (Hill) Ledbetter. On June 21, 1936, he married Iola E. Vaughn and she preceded him in death on May 17, 1998. William worked for the United States Postal Service until his retirement in 1979. He was a member of Oasis Community Church of the Nazarene and he was the oldest living alumni of Harrisburg Township High School having graduated in 1932. He served in the armed forces as a Merchant Marine in World War II. At the time of his death he was the oldest Veteran in the state of Illinois. Gilbert, as he was known by his family and close friends, was always in a good mood. He was a walking Bible, and would quote scripture verse after scripture verse to all who would listen. When he would meet a new person the first thing he would ask them is where they went to church. He was an avid gardener. His 50 by 90 garden was a major source of tomatoes for family and friends. He was also a walking history book. He would share historical information especially of little known facts to everyone. Quoting poems he learned as a youth brought him great joy. He loved his dogs of which he had many over the years. For 20 years, he led the monthly singing at Saline Care Center for the residents, which was a ministry of McKinley Avenue Baptist Church. He was also a long time Sunday school teacher at McKinley Avenue Baptist Church. Surviving family members include son: Stephen M. (Cynthia) Ledbetter of Harrisburg; three grandchildren: Stephanie (Eric) Cralley of Elkville; Audrey “Buttons” Gilomen of Harrisburg; and Kelsey (Mike) Morrow of Harrisburg; sister, Alene Walter of Harrisburg; six great grandchildren: Cole, Drayke, Tori, Gaige, Blake, and Finley; nieces: Dorris Peters, Norma (Terry) Thaxton, Cynthia A. Walter, Lisa (Richard) Isom all of Harrisburg; nephews: Benny (Sally) Healy of Carmi, Tommy Ledbetter of Harrisburg, John Healy of Norris City, and the late John (Cheryl) Ledbetter of Harrisburg; 27 great nieces and nephews, 20 great-great nieces and nephews, and 4 great-great-great-nieces and nephews. He was preceded in death by his parents, wife: Iola (Vaughn) Ledbetter, 3 sisters: Vivian Agin, Anna Katherine Ledbetter and Edith Healy, one half sister: Lori Davies, 3 brothers: Frank Ledbetter, John Eston Ledbetter, and Raymond Ledbetter. Visitation will be held at Oasis Community Church of the Nazarene on Sunday July 8th, 2018 from 2:00p.m.-4:00p.m. promptly followed by Funeral Service. Rev. Gary Clark will officiate. Burial will follow in Sunset Lawn Cemetery with Military rights.